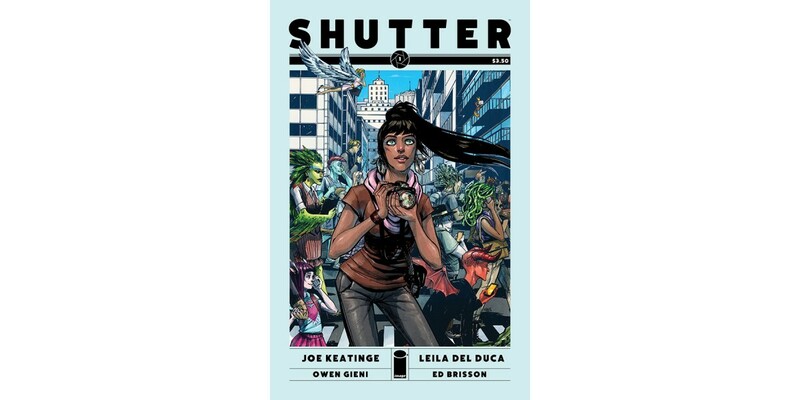 The first issue of the new Image Comics urban fantasy series SHUTTER, written by Joe Keatinge (GLORY, TECH JACKET) and drawn by Leila del Duca has already garnered critical acclaim and sold out at the distributor level. In SHUTTER #1, Kate Kristopher, once the most famous explorer of an Earth far more fantastic than the one we know, is forced to return to the adventurous life she left behind when a family secret threatens to destroy everything she spent her life protecting. SHUTTER #1 has completely sold out at the distributor level, but may still be available in comic stores. It is currently available digitally on the Image Comics website (imagecomics.com) and the official Image Comics iOS app, as well as on Comixology on the web (comixology.com), iOS, Android, and Google Play. Image Comics is pleased to announce that this third issue will be going back to print to meet customer demand. The second printing of SHUTTER #1 (Diamond Code FEB148399) will release on 5/14. SHUTTER #2 releases 5/14 as well and will be available for pre-order with Diamond Code MAR140596. A variant cover featuring art by Piotr Kowalski will be available for pre-order with Diamond Code MAR140597.